Kenya 7s finished 13th at the Singapore 7s as they beat Spain 5-21 to win Shield on Sunday April 14, 2019. Vincent Onyala, Bush Mwale and in-form Daniel Taabu were all on the scoresheet in the win over Spain. Kenya stays 13th with 26 points, one above 14th placed Wales and four above Japan who occupy relegation spot. 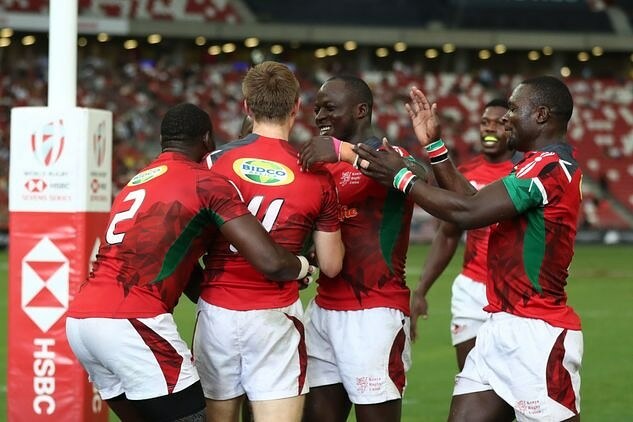 Relegation battle moves to penultimate round of the season -London 7s with Kenya set to play Fiji, Samoa and France in pool B.
Shujaa reached 13th place final after beating Japan 31-24. They had opened the day with a 14-24 defeat to France in challenge trophy quarters. Pool matches saw Kenya lose 7-36 to England, 14-17 to USA and beat Wales 19-14.